When my husband and I were first married, I dragged him from store to store trying to find the perfect sofa. We didn’t even think about ordering off of Amazon, but rather just settled for what we could find in our local area. We did manage to find a nice sofa which we have had for about 9 years now. There are a couple things to consider before investing in a sofa. 1- Make Sure It Is Comfortable. A sofa is supposed to look good, and feel comfortable. If it just looks good, chances are, you will never use it if it is just stiff and uptight. 2. Don’t Go Armless- Yes, we made that mistake. When you sit down, you naturally want somewhere to rest your arms and head. Could your head rest on the sides without feeling awkward? Could you put your feet up? Do you think you could read your favorite book in it? Throw pillows never stay on the ends of a armless sofa. Just avoid these. 3. Consider The Fabric – For the most part our sofas were kept in fantastic condition, that is…..until we got cats. If the material is a loose weave, it just might be used as a scratching pad. Loose woven materials are irresistible to your fur friends, so consider asking for a swatch before buying online. 4. 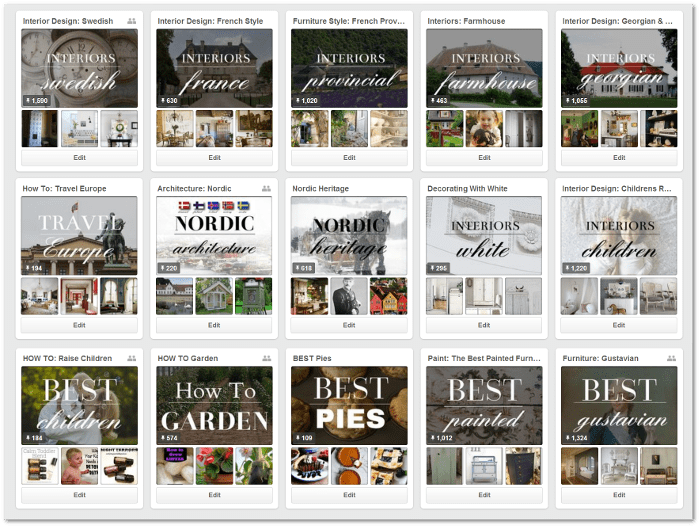 Go For Something Plain- You will thank yourself when you decide to redecorate with a different pattern down the road. It is less expensive to exchange out throw pillows than it is to buy a new sofa. 5. Look For A Lengthy Sofa- There is nothing like a long couch where you can really stretch out on. If you can snuggle up on the couch with your spouse, it might be one of those rituals that just keeps you close. For those Saturday night movies, you want something you can lay on, because who sits up for an entire movie? 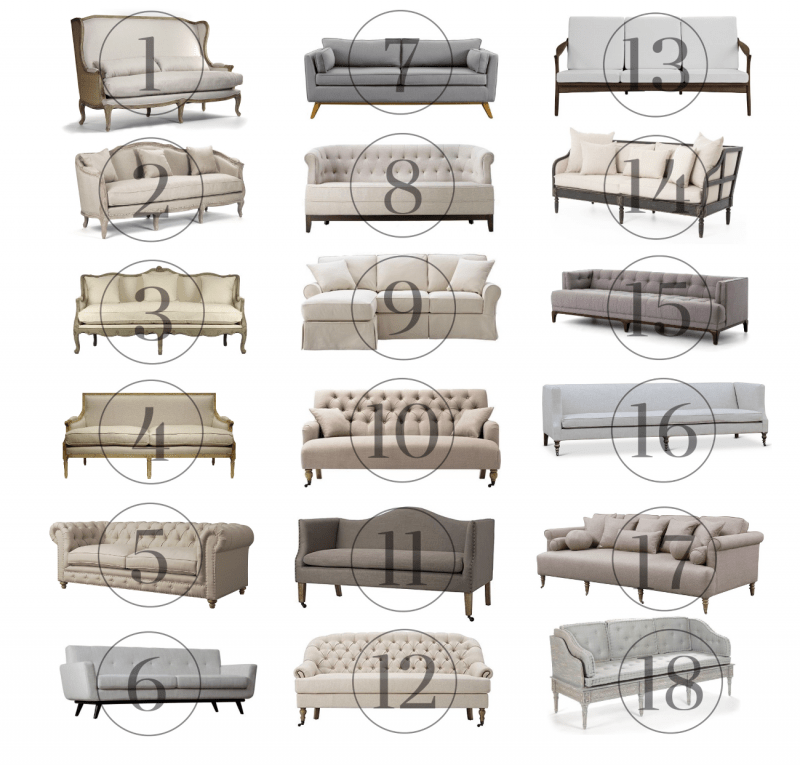 Below are a few top designer tips for picking out the best sofa. 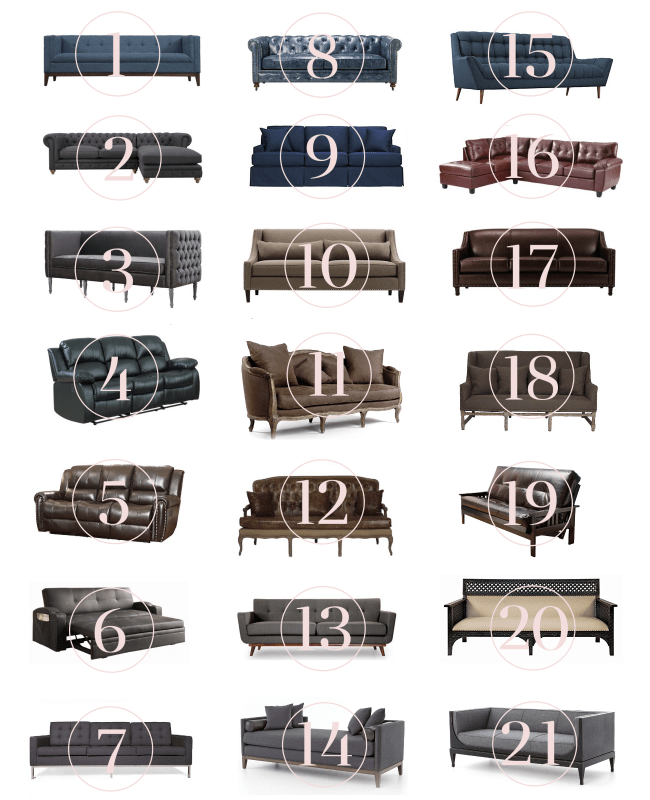 In addition, enjoy what I think are the best 39 picks for sofa’s online. 17. Sectional Sofa, Brown $904.74 & FREE Shipping.